A new book documents the barnstormers, aircraft designers, and airline entrepreneurs who made their mark in the deep South. During the 1920s and ’30s, Louisiana entrepreneurs and pilots proved instrumental in advancing aircraft design, revolutionizing cropdusting, establishing airmail routes, and entertaining spectators with air races. In Louisiana Aviation: An Extraordinary History in Photographs, pilot and freelance writer Vincent P. Caire chronicles the state’s history of flight in 196 vintage and contemporary photographs, many never before published. 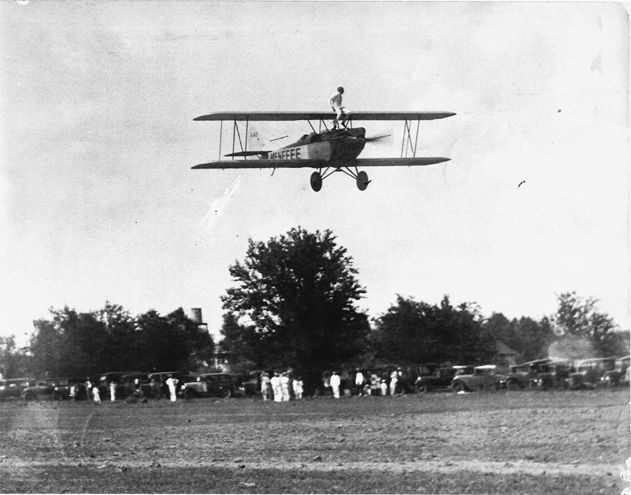 Pictured above: An airshow at Menefee Field in 1929 featured a bathing-suit contest and a flight demonstration by this Transcontinental Air Transport mailplane. Self-taught barnstormer Walter Wedell prepares to wing walk with brother Jimmie at the controls.